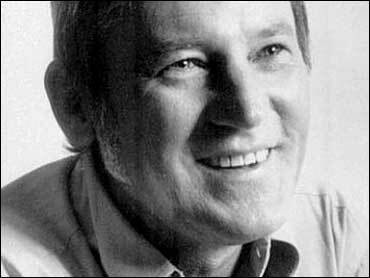 Ray Conniff, the Grammy Award-winning arranger and bandleader whose arrangements continued and modernized the Big Band sound while spawning such albums as "'SWonderful" and "Somewhere My Love," has died. He was 85. Conniff died Saturday at Palomar Medical Center in Escondido, California, after falling down and hitting his head, San Diego medical examiner's investigator Angela Wagner said. He had suffered a stroke in April. Conniff had more than 100 recordings and produced 25 Top 40 albums, including 10 gold and two platinum records in a career that spanned six decades. He won CBS Records' Best Selling Artist for 1962 for the recording, "We Wish You A Merry Christmas." His most memorable song may have been "Somewhere My Love." The song was adapted from French composer Maurice Jarre's "Lara's Theme" from the film "Dr. Zhivago." It rose to the top of the pop and easy-listening charts and won Conniff a Grammy in 1966. The Ray Conniff Orchestra and Singers typified the lounge-singing style of the 1950s and 1960s with a mix of wordless vocal choruses and light orchestral accompaniment. Though he got his start as a trombone player in the Big Band era playing with Bunny Berigan, Bob Crosby and Artie Shaw, Conniff broke out as a solo artist after being hired as a house arranger with Columbia Records in 1951 by the label's chief impresario, Mitch Miller. He was responsible for Johnny Mathis' "Chances Are," Frankie Laine's "Moonlight Gambler," Johnnie Ray's "Just Walking in the Rain," and Guy Mitchell's "Singing the Blues." He also did arrangements for Frank Sinatra, Rosemary Clooney and Marty Robbins. It was Conniff's arrangement of "Band of Gold" for singer Don Cherry that hit the first high note of both men's careers. The song made No. 5 on the Top 40 and was widely thought to be Cherry's hottest recording. In the mid 1950s, Columbia decided to try Conniff as a featured leader with a big-band mix that included guitarists Al Caiola and Tony Mottola. His debut album, "'SWonderful," in which he combined a chorus of four men and four women with a traditional big band mix of 18 instruments, stayed on the Top 20 charts for nine months. His twelve Top Ten LPs and well over 50 million total albums sold made him one of the most popular artists ever. A 1962 article in McCall's magazine described his band as "singers who 'play' their voices as though they were instruments, more like subtly fluted woodwinds than singing." Conniff's instrumental arrangements provided easy listening for a booming adult album market. His popularity waned with the rise of rock 'n' roll but his repertoire began to include songs made popular by soft-rockers such as The Carpenters, Simon and Garfunkel, and The Fifth Dimension, and covers of songs such as of "Laughter in the Rain," "I Write the Songs," and "I'd Like to Teach the World to Sing." Conniff received countless international awards, continued touring and produced about an album a year. He performed at the White House during the Vietnam War and in 1974 was the first pop artist asked to record an album in Moscow. In 2001, he gave a series of concerts in Brazil. He performed "Somewhere My Love" at the wedding of David Gest and Liza Minnelli this past March. Born in November 1916 in Attleboro, Massachusetts, Conniff gained much of his musical experience from his father, a trombone player, who led a local band while his mother played the piano. Conniff led a local band while in high school. He moved to Boston and began playing with Dan Murphy's Musical Skippers. He moved to New York during the swing era in the mid-'30s and landed a job playing and arranging for Berigan in 1937. By 1939, he moved to Hollywood to join Bob Crosby's Bobcats, one of the hottest bands of the time. "He was always reinventing himself, that's how he was able to continue his popularity for so many years," said fan club official Warren Pischke. Conniff is survived by his wife, Vera; a daughter, Tamara Conniff; son, Jimmy Conniff; and three grandchildren.